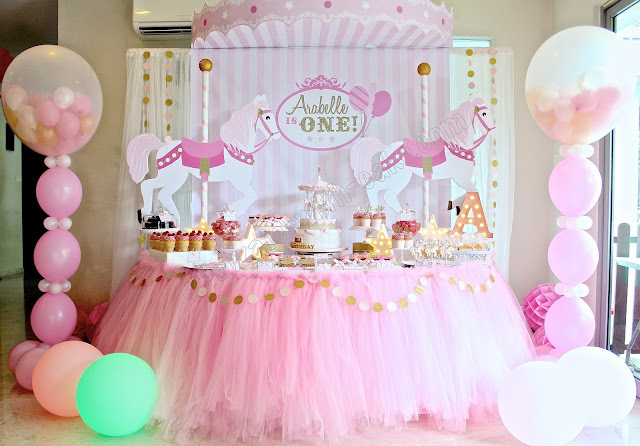 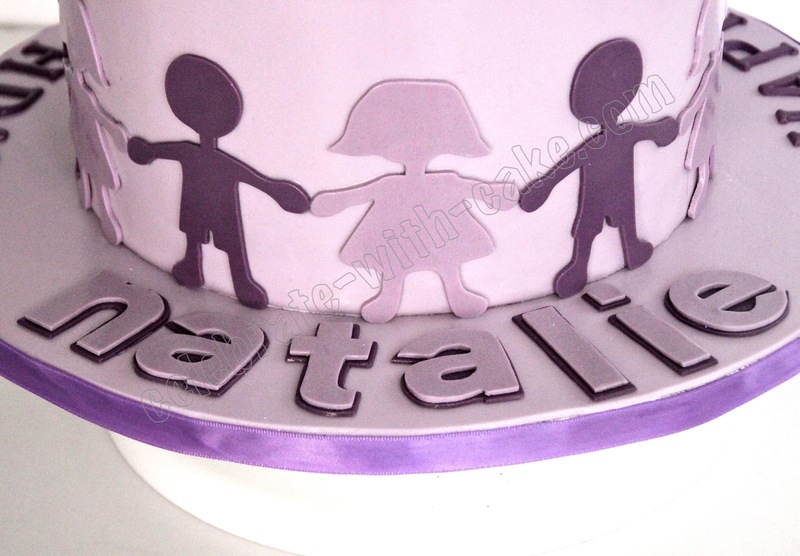 Natalie's mom got us to do this cake for her little girl. 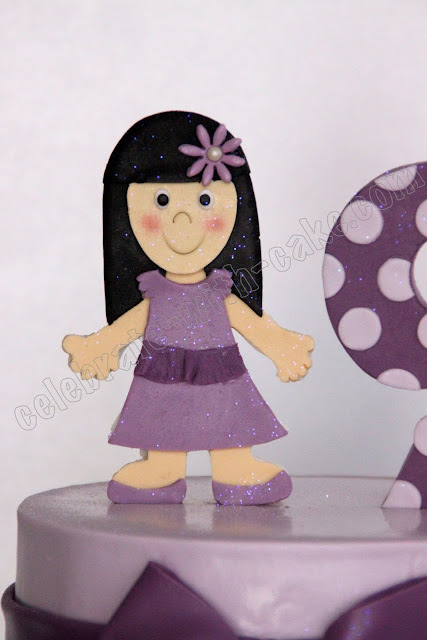 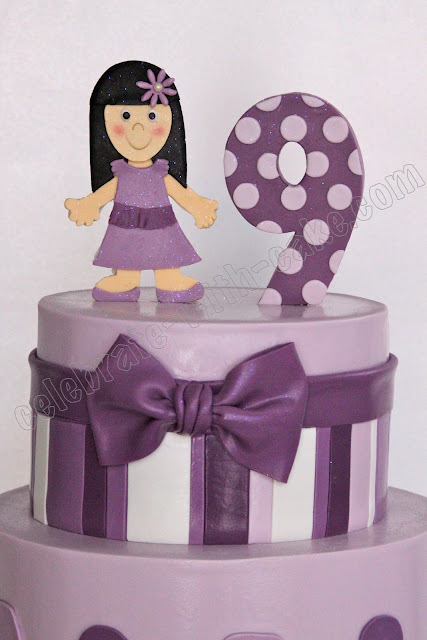 She told us her little girl loves the color purple, and she wanted us to include a chain of paper dolls on the sides of the cake! 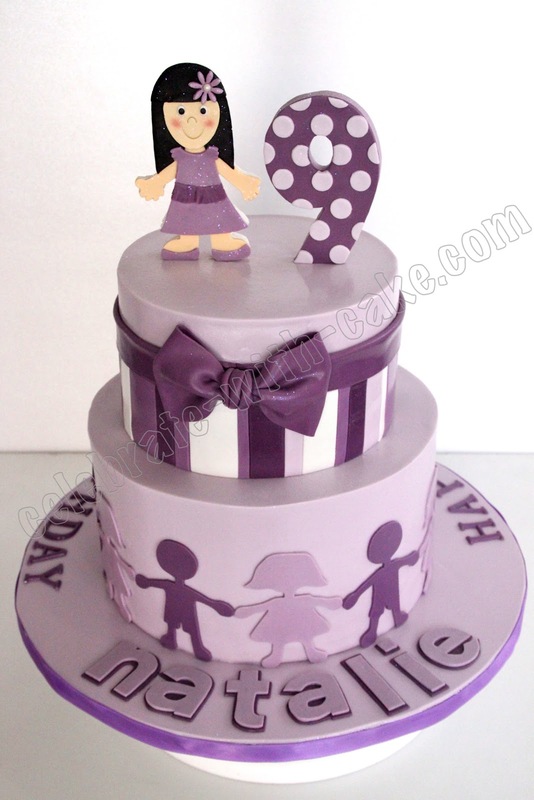 hope the birthday girl liked her cake !